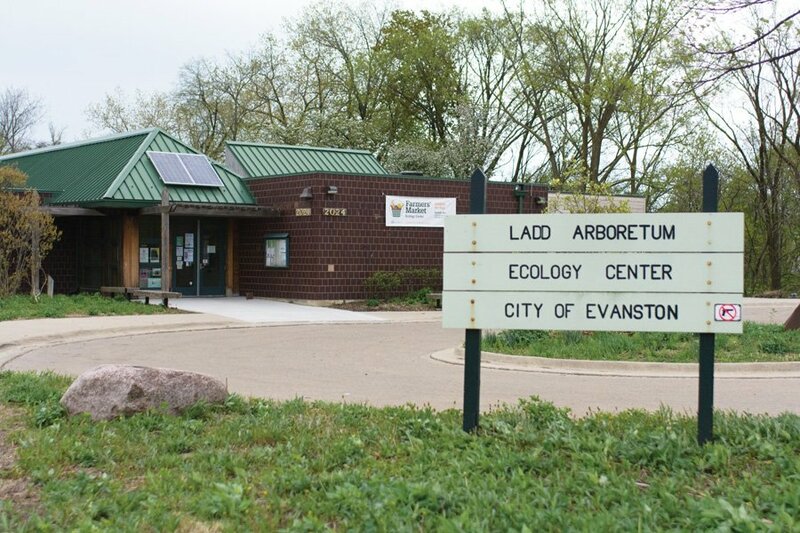 The Evanston Ecology Center, 2024 McCormick Blvd. The center has recently purchased four beehives, which it plans to fill with 40,000 honeybees. Staff at the Evanston Ecology Center are abuzz with excitement as they plan to welcome 40,000 honeybees to Eggleston Orchard in northwest Evanston next month. The center will set up four new beehives, each set to hold about 10,000 bees, said Evanston community engagement manager Martha Logan. Once they have moved into their new home, the bees will begin to pollinate plants in the orchard and surrounding community gardens, Logan said. Erika Doroghazi, a program coordinator for the Ecology Center, is being trained as a beekeeper to take care of the new bees. She said in an email that once the bees produce honey — which will take roughly two years — the city will be able to harvest the excess honey by extracting it from the combs. The initial decision to purchase the bees stemmed from residents expressing interest in learning more about bees and beekeeping, Ald. Eleanor Revelle (7th) said. Scientists attribute the recent decline in bee populations to Colony Collapse Disorder — which occurs when the majority of worker bees in a colony disappear and leave behind a queen — and they estimate that nearly one-third of all honeybee colonies in the U.S. have vanished since 2006, according to the Natural Resources Defense Council. Bees are threatened by pesticides and habitat loss due to human development, among other factors. Pollinators such as bees, birds and bats affect 35 percent of the world’s crop production and increase outputs of 87 of the world’s leading food crops, according to the Food and Agriculture Organization of the United Nations. In addition to the bees and beehives, the city has also purchased a number of beekeeping suits. The suits will be used by the Ecology Center staff, as well as people who will be able to participate in programming aimed to teach individuals about bees. When the bees arrive in a few weeks, they will be moved into the four beehives, each of which is painted a different color, Logan said. The different colors will enable the bees to find the hive their specific colony lives in. The city’s newest residents will be the focus of this year’s Evanston Environmental Association Green Ball, which will be held on May 20 at the the Levy Center, 300 Dodge Ave.
Jim Chilsen, vice president of the EEA, said there will be facts about the new bees displayed at the ball, which aims to raise money for the Ecology Center’s programming. The center provides summer camps for children and educational programming throughout the year.